Most spiders in Britain are usually harmless to humans. In fact, common house spiders are beneficial to humans because they eat other pesky insects in the home and help control them. If house spiders invade your home, tolerant insect control methods of capture and remove are often recommended instead of aggressive control efforts of seek and kill. Here are five non-aggressive ways to get rid of house spiders fast (including the dreaded false widow spiders). One of the best ways to control house spiders is to use citrus. Spiders hate all things citrus. Rub some citrus peels on areas where house spiders frequent, such as window sills, bookshelves and baseboards. Lemon scented furniture polish can also drive away house spiders so it’s worth giving it a shot too. Surprising as it may sound, chestnuts are known to drive away spiders. Place a few chestnuts along your baseboards and windowsills to prevent spiders hanging out there. The best thing about using chestnuts to get rid of house spiders is that the chestnuts can stay in the house for a long time before they go bad. Osage orange (hedgeapple) can also be used instead of chestnuts. Yet another wonderful house spiders deterrent is cedar. 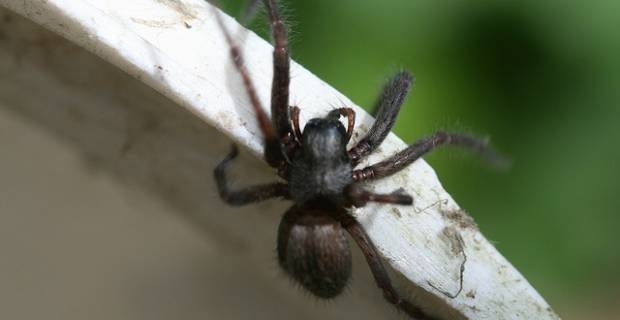 You can use cedar drawers, cupboards, hangers, chests or closets to keep spiders off. You may also apply cedar mulch or cedar shavings around the outside of you home perimeter to deter spiders from getting inside. Yes, you read it right, tobacco and water! 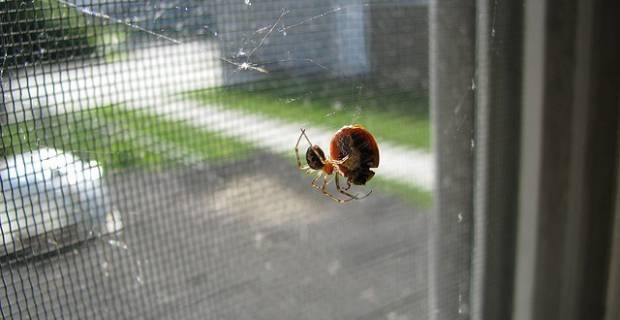 Spiders hate tobacco just as much as they hate citrus, cedar and chestnuts. Soak tobacco in water and sprinkle the mixture where spiders frequent. Alternatively, just scatter small tobacco pieces where house spiders are troublesome. This should keep the spiders at bay. The best and kindest way to get rid of house spiders is to use the good old drinking glass and piece of card spider control method. Simply slip a piece of card under the spider, put a glass over it and then carry and dispose of the little thing out in the garden. If the spider comes back into the house, well, use your drinking glass and piece of card again to carry the spider out without killing it. The little creature will eventually give up trying to get in the house and stay in the garden! Mission accomplished.